A greener vision of the home landscape is taking shape throughout California with the help of volunteer master gardeners and the California Center for Urban Horticulture (CCUH). 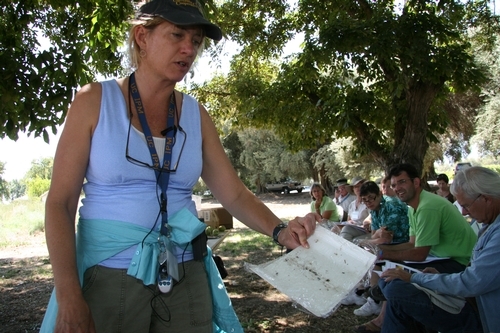 The center, a statewide program begun at UC Davis in 2007, is holding educational workshops in various locations that will help master gardeners and other gardening enthusiasts learn more earth-friendly gardening techniques. The first five “Your Sustainable Backyard” workshops were held in 2009 and 2010 and focused on roses, fruit trees, and edible landscaping. More than 800 people attended those events. “Your Sustainable Backyard: Landscaping for California” — April 9, 2011, the ARC ballroom at UC Davis. Speakers include landscape architect and author Bob Perry and author/garden photojournalist Deborah Baldwin. “Your Sustainable Backyard: Roses” — April 30, 2011, Foundation Plant Services at UC Davis. This event will also include a rose sale. 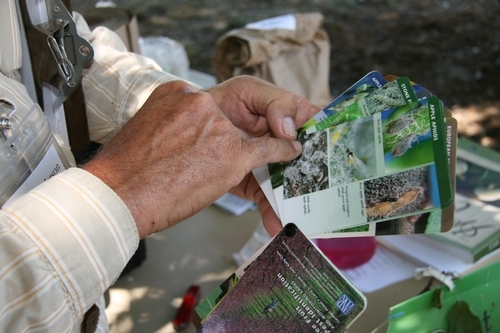 Master gardeners are public educators trained by university experts in horticulture, pest management, and related home gardening topics. California Master Gardener programs, currently serving 45 counties, are experiencing phenomenal growth. UC’s Statewide Master Gardener coordinator Pamela Geisel says they’re seeing a 28 to 30 percent annual increase in the number of master gardeners, totaling about 4,700 individuals as of early 2010. A survey by the National Gardening Association found that seven million more households planned to grow their own fruits, vegetables, herbs, or berries in 2009 than in 2008—a 19 percent increase. More people simply want to grow their own produce for improved quality, taste, and cost savings. Geisel says it’s not just about locally produced food. “More people than ever are interested in learning how to reduce the use of fertilizers and pesticides, to conserve and protect water resources, and to eliminate landfill waste through green waste composting,” she said. 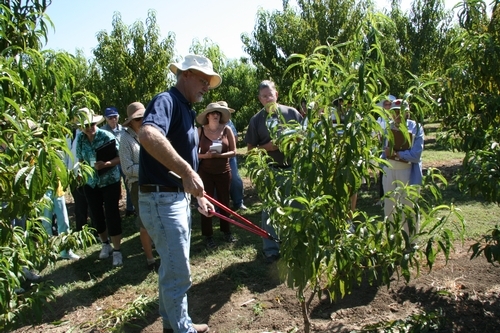 To learn more, visit program websites at http://ccuh.ucdavis.edu and http://camastergardeners.ucdavis.edu/. I reuse trees. I have a big batch of live christmas trees. I deliver the same tree year after year without ever cutting. http://plantman.com for more details about the service.